CINAHL contains more than 1,000,000 records dating back to 1981. Offering complete coverage of English-language nursing journals and publications from the National League for Nursing and the American Nurses' Association, CINAHL covers nursing, biomedicine, health sciences librarianship, alternative/complementary medicine, consumer health and 17 allied health disciplines. In addition, this database offers access to health care books, nursing dissertations, selected conference proceedings, standards of practice, educational software, audiovisuals and book chapters. Searchable cited references for more than 1,200 journals are also included. Full text material includes 72 journals plus legal cases, clinical innovations, critical paths, drug records, research instruments and clinical trials. This is a database with clinical medicine focus (similar content to PubMed, but better indexing features, and available full text content) . TIP: Browse in the MeSH subject heading list for your disease or topic. Use the ‘advanced search’ feature and limit to ‘Subjects’ – Immunology & Microbiology. You can also limit 'Source' to 'Subscribed Sources' to limit to only materials for which full text is present in the database. Searches 13 ProQuest databases relating to health, nursing, medicine, pharmaceuticals, and health management. ProQuest Science Journals features over 1030 titles, with more than 760 available in full text. Check out "Films on Demand"
Search our Flims On Demand video database for educational segments about immunology or the specific disease you are researching. New videos are added frequently, so remember to check back. To search Films On Demand, click HERE. Combining recent medical discoveries with historical and geographical scholarship, this is the most comprehensive history of human disease since August Hirsch's monumental Handbook of Geographical and Historical Pathology in 1880. 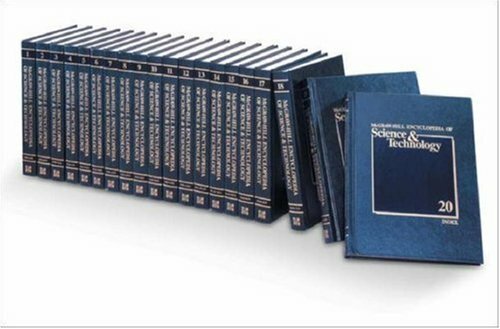 The most widely used medical reference in the world-more than 10 million copies sold in 18 languages since it was first published in 1899-revised, updated, and redesigned with more changes than any edition in the past twenty years. "Clark explains how the immune system works by using powerful genetic, chemical, and cellular weapons to protect us from the vast majority of disease-causing microbes-bacteria, viruses, molds, and parasites." "The new edition places substantial emphasis on molecular techniques and introduces new material that reflects the significant advances and developments in the field of clinical laboratory immunology." Know the lingo! Visit the MeSH site and see what the preferred medical terms are for your research. An authoritative resource for the study of education. It contains over 1,800 journals, 550 books, and over 5 million citations.